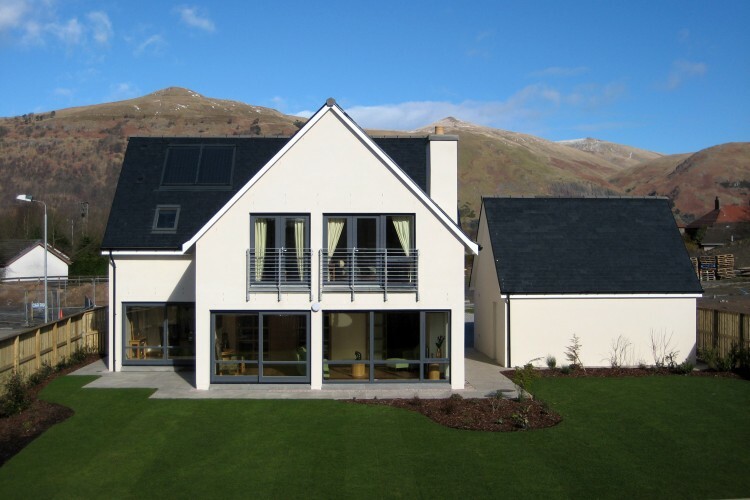 This development for Marshall Construction provides a variety of energy-efficient homes on a slope with a southerly aspect in Clackmannanshire. There are panoramic views to open fields and to the Ochil Hills. 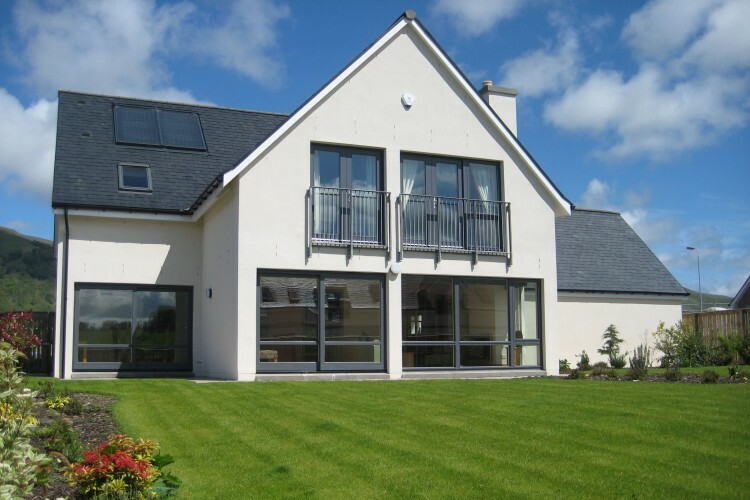 The passive solar strategy provides extensive south facing glazing to take advantage of winter sunlight, with shading to avoid overheating in summer. North facing windows are minimised. Each house has a double height atrium with automatic opening ventilators to provide passive cooling on hot days. Whole-house positive pressure ventilation introduces filtered fresh air to remove allergens and reduce the incidence of asthma and hay fever. 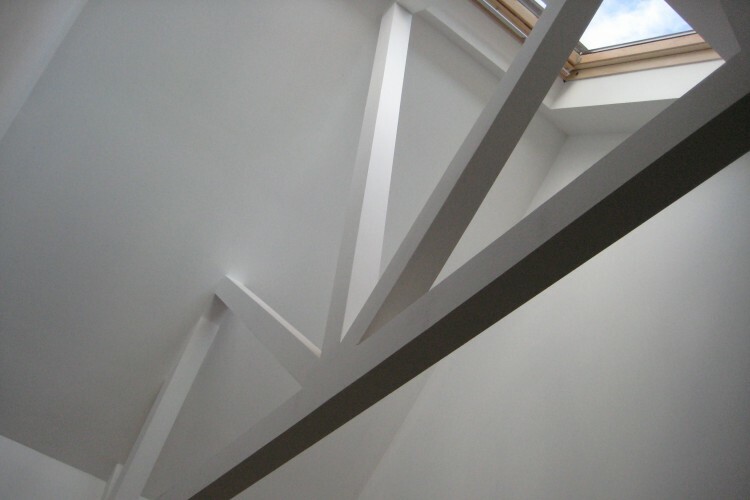 Heat recovery from the atrium reduces energy losses. The timber framed construction uses cellulose insulation (recycled newspapers) in a vapour permeable “breathing wall” construction. 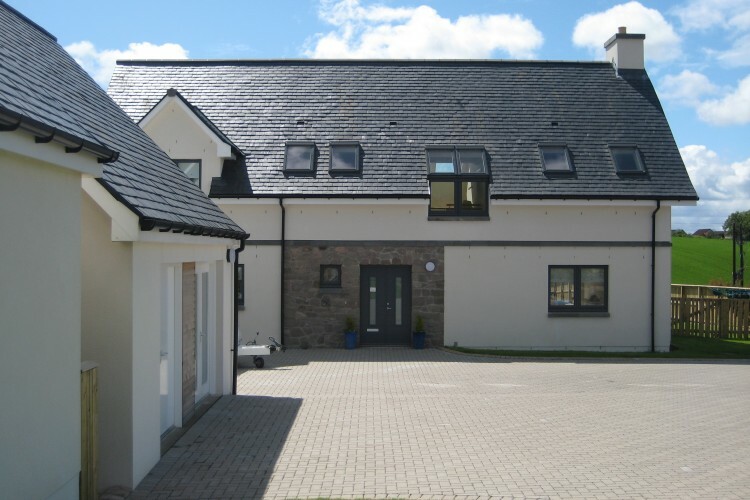 External finishes are natural stone, render and natural slate for long-term durability. 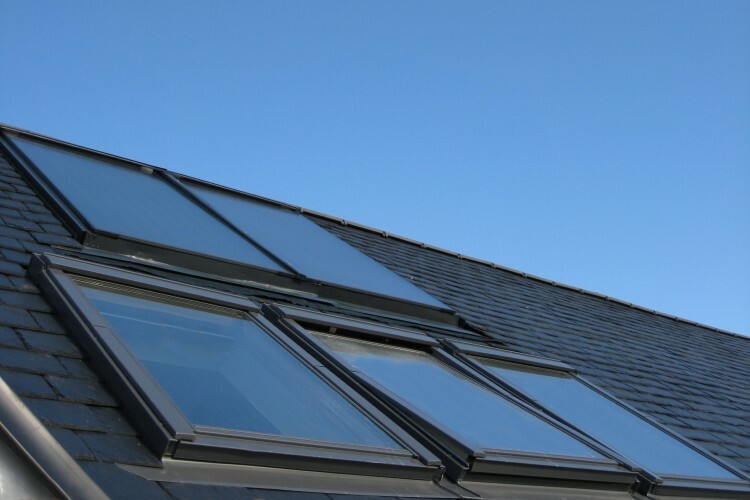 Roof mounted panels provide solar water heating.